Do you like the idea of getting paid while you learn? A chef apprenticeship program is a great way for blooming chefs to make some money while earning their culinary education. It’s also an option for students who are already enrolled in a program, and need to pay off their student debts. An apprenticeship generally takes one to three years to complete. At the end of the program, apprentices will work in a kitchen under the supervision of a professional chef. A basic chef apprenticeship program could have a food preparation or pastry focus, depending on where you complete your apprenticeship. Chef apprentices will learn the basics of sanitation, dining room service, and food processing, as well as how to work with different temperatures. They will also learn how to prepare meat and pasta dishes for a large group of people. This apprenticeship program has more of a focus on the different types of food handling techniques. Apprentices will learn how to prepare various types of meats, soups, sauces, pastries, vegetables, and dough products. Some programs may include buffet and menu planning, as well as mathematics. Students of this apprenticeship program will learn how to prepare muffins, donuts, breads, pies, tarts, cookies, cakes, rolls, and frozen desserts. Students will also learn about temperatures and ingredients, as well as how to use the different types of kitchen equipment. This program is designed for eleventh and twelfth-grade high school students. Students will learn the basics of food handling, safety, nutrition, and sanitation. Students may also learn about plate presentation, food preparation, and cutting techniques. Apprentices of this program will learn how to prepare meals and buffets for different types of events. While working for a catering company, students will also learn various safety and sanitation methods, as well as how to provide excellent customer service. After completing this apprenticeship, students will learn how to prepare soft drinks, coffees, cappuccinos, and various types of alcoholic beverages. Some apprentices may learn how to train other members of staff, while others learn how to prepare cellars or kegs. Through their work experience, students may even learn how to create new drinks by combining different ingredients and beverages. Butcher apprentices will learn about food safety standards as well as various cutting and meat preparation techniques. Students will be able to identify and prepare different types of meat and poultry, while practicing their hand-eye coordination in a kitchen. Some basic first aid may also be included. I need some info for a friend from overseas that wants to do a culinary apprenticeship in the US. Is this possible for? Do you work with uscis for F1 visas? Thank you. I am interested in the professional cookery, baking / pastry, food preparation, and hospitality apprenticeship programs. Could you please send me some information on the these programs. Please e-mail Food Preparation Apprenticship Classes in New York City. Thank You. I would like info on all programs that you offer, thank you and have a wonderful day. Presently i am in usa on F1 visa. can i get transfer to do this programe from my college? I am a Hospitality Graduate with a 3 year degree including sessins in basic culinary practices. i would like to persue my career further in culinary arts and an apprenticeship looks like a feasable solution. how can i take this further. I am looking for a culinary apprenticeship program in okc please help me. If a person has an Associates degree in culinary arts, how can he sign up for an apprenticeship program? I am in San Diego, CA and am interested in undertaking an apprenticeship in this area – preferably in food preparation, but I am also interested in baking and pastry or hospitality and catering. Could you please send contact information of how I can find out more? Thanks! I am seeking an apprenticeship in Baking and Pastry arts, I am 55 and have been in commerical kitchens for years but as a line cook, broiler,expiditor, and want to tone down the pace, and excell in pastry and baking, could you help, I will be relocating to Charleston S.C. soon and wish to hasten my education. Thank You Sincerely Sean M. Hickey. Hi!!!! I would like to do my apprenticeship in bakery and pastry with you. i am a resident of sri lanka. I would like to know if i am eligible to study bakery and pastry with you.I am currently working. would love to have a reply from you. I live in New Zealand and I am looking at a chef apprenticeship in Las Vegas. Would you have any information about applying for apprenticeships in the city this would be appreciated very much thank you. I need jobs for apprentices in culinary in Atlanta, Ga.
Is this apprentice program available for international students? How can one apply? What visa is required? I would like to be emailed information on the programs please and thank you. Seeking a 1-3 year baking/pastry apprenticeship in Maryland, Virginia, Floriday, California, New York, or Vegas. Are there any apprenticeships that offer live-in opportunities that you know of? I am interested in a Baking and Pastry apprenticeship in atlanta GA. Already have a B&P diploma,but no place in GA will hire a cake decorator or pastry cook without at least 1 year experience. I know ACF offer information on programs in GA, but aside from what is listed, do you personally know of any more? Hello, I am interested in the baking and pastry apprenticeship. Could you please send me more information on this program? Specifically, I’d like to know about apprenticeship programs in Austin, TX? Thank you. 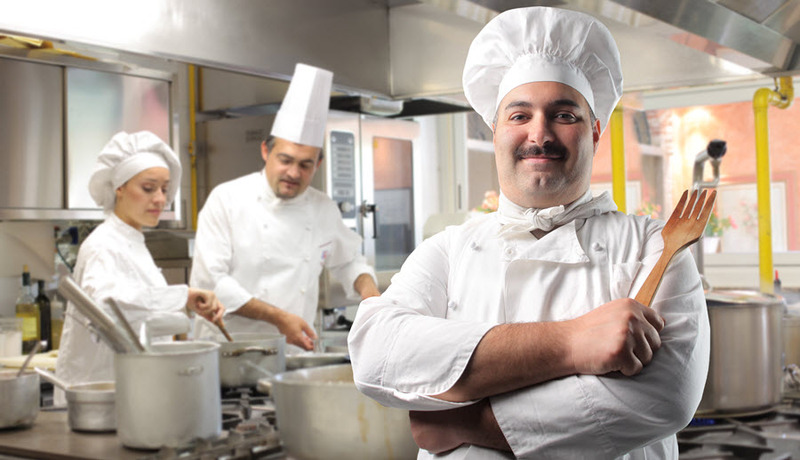 Hello I am Adnan from Jordan I am currently a head chef I have experience in hotels and restaurants more than 15 years I want to develop my career and learn more skills in cooking and kitchen management How possible to attend college? What are the duties required of me?What are the required documents to gain admission to attend college? I am really interested in a Baking and Pastry Apprenticeship in New York. What are the requirements and what steps should I follow? Is it possible to do so with and F visa? Hi. I am interested in the Hospitality/Catering Apprenticeship program. Could someone contact me with information on this program. Thanks so much!! I am currently in new York on f1 visa. I want to pursue food preparation apprenticeship and bakery and pastry apprenticeship. Kindly explain me the procedure to get admission, duration of courses and fee structure of your programs. I have been looking for a catering business where I can be an apprentice, I would like to learn how to prepare food for at least 300 people, I can work with minimum pay, all I need is to see how a catering business operate, observe some helpful tips, so I can put up my own catering business. Thank you, I will appreciate your help and response.